Link here for the official Giving Tuesday site. There are many good causes and great charitable organizations that compete for your attention. We at Warren County Habitat for Humanity hope you will consider WCHFH as you plan your charitable giving approach. We have listed a number of ways that you can help us to help people in our Warren County community that are struggling with affordable housing challenges. 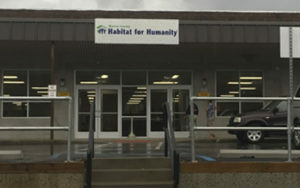 The Warren County Habitat for Humanity ReStore is located at 384 Route 57 West in Washington, NJ. If you shop using Amazon, there is an easy, cost free way to make donations to WCHFH. All you need to do is to signup to designate that Amazon, not you, make a contribution to WCHFH equal to 0.5% of your Amazon purchase, based on the total of your purchase. When you shop at smile.amazon.com, you’ll get the exact same shopping experience that you do at amazon.com. And Amazon, not you, will make that contribution to WCHFH. It’s as simple as that! Visit smile.amazom.com today to connect your account to Warren County Habitat for Humanity. “We all have charitable causes and community organizations that we love to support, whether they’re houses of worship, youth athletics, local charities or anything else. Investors Bank created the Care2Share program so you can help your favorite organization earn more money every quarter. Take a moment to link to the Investors Bank website and connect an account to Warren County Habitat for Humanity. When most people think of volunteering at Habitat, they think of someone helping to build a Habitat home. And many people do just that. However, WCHFH has a volunteer base of hundreds of individuals, and many of them have never worked at a job site. They contribute their time by working at the ReStore or at the Habitat offices, or joining with event teams. Some are unskilled, some have business or financial skills, some have IT skills, some are photographers or writers. The fact is, there is a large and diverse set of skills that WCHFH needs in order to sustain its build and repair programs. There is probably something for you! To learn more about volunteering at Habitat, link to this site. Cash donations are the lifeblood of our home building programs. 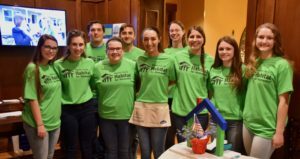 Even with volunteers providing skilled and unskilled labor, and with donations of construction materials, the cost of providing a simple, decent home in Warren County can exceed $100,000. WCHFH has been blessed to be supported by a civic-minded, generous community. If you’d like to donate to WCHFH, you can send a check to our office at 31 Belvidere Avenue in Washington, NJ 07882, or click on the Donate button below.